Q. When is Museum Store Sunday? A. Museum Store Sunday is held annually on the Sunday after Thanksgiving. This year, we will celebrate on December 1, 2019. However, we encourage you to shop at a Museum Store throughout the year. Books, jewelry, clothing, art prints, home accessories, gourmet foods and other beautifully curated items are wonderful gifts to enjoy any time. Q. How do I find out what museums are participating? A. Use the Locator to find your museum of choice. Q. Do museums charge admission on MSS? A. Each museum has their own admissions policy for Museum Store Sunday. 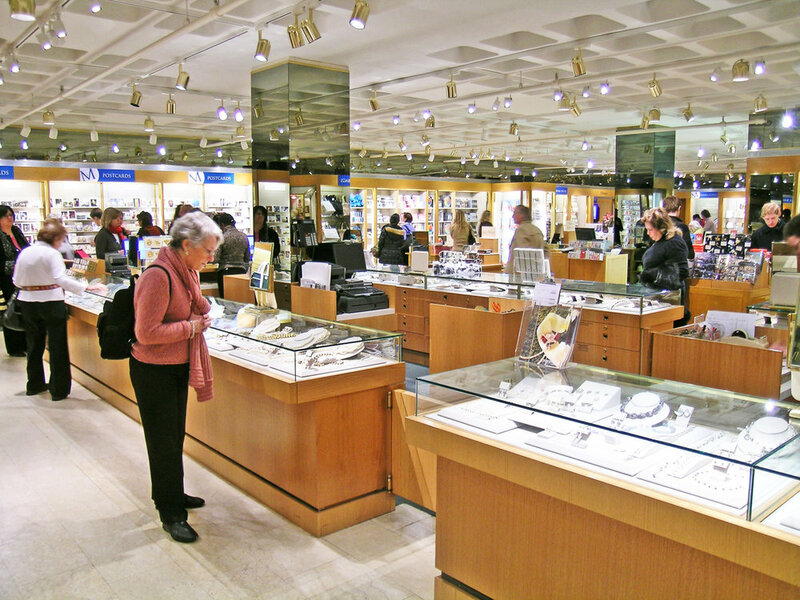 Often, you can visit a Museum Store without paying admission. Give your museum a call to learn more. Use the Locator to easily find their contact information. Q. You are asking me to Be A Patron. Does that mean I have to donate money to go to Museum Store Sunday? A. You do not need to donate money to enjoy Museum Store Sunday. Patronage can take on many forms. Just by visiting a museum, you are a patron. Spend time touring the collections, perhaps catch a book signing or stop in the cafe, and of course, visit the Museum Store! If you make a purchase, no matter when or where, you are directly contributing to the mission and programming of the museum as a Patron. Q. Isn't everything in a museum store really expensive? A. Museum Stores stock items to fit many tastes and budgets. Museum Store managers pride themselves on sourcing unique items that fit the mission of the museum, while appealing to a wide audience of patrons. Q. I want to help spread the word about MSS? What can I do? A. Thank you for your excitement and enthusiasm for Museum Store Sunday! You can start by inviting friends and family to visit their local museum on MSS. You can promote this website on your social media feeds. Or, maybe you can reach out to your local museum to see if you can volunteer your time. Q. Will all museums I visit on Museum Store Sunday be participating with special events and shopping discounts? A. We suggest you reach out to the museum you plan to visit on 12/1/19 and ask them directly about what events and discounts will be offered. Each institution will be hosting the day in their own way. Q. I can’t shop on Museum Store Sunday, but I would like to support Museum Store Sunday. What can I do? A. Thank you for your patronage of Museum Store Sunday. We encourage you to contribute to your museum of choice in a way that is most meaningful to you. While there is only one Museum Store Sunday each year, we encourage you to “Be A Patron” of Museums and Museum Stores all year round.